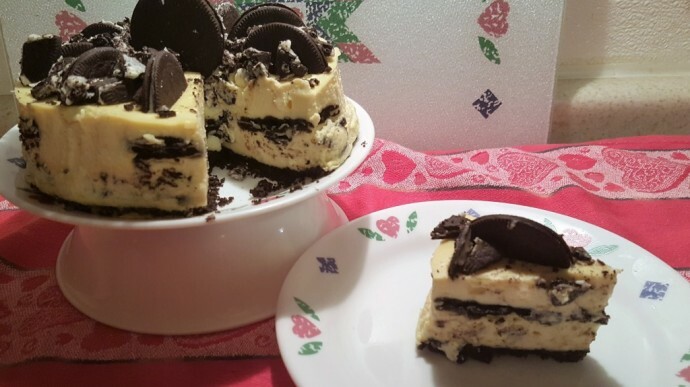 Pressure Cooker Cookies N Creme Cheesecake is based on my very popular Pressure Cooker New York Cheesecake and can be made with your favorite sandwich cookie. This dense Pressure Cooker Cookies N Creme Cheesecake tastes like you put tons of effort into it, but only takes a short time to prepare and bake in a Pressure Cooker. 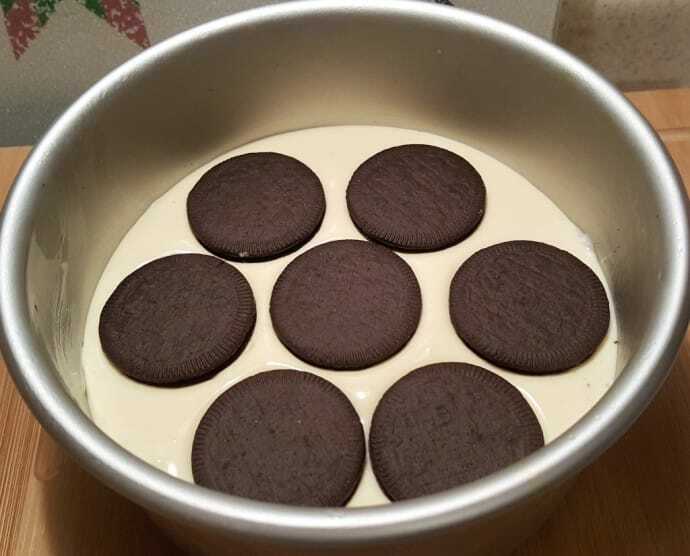 Before you get started making this Pressure Cooker Cookies N Creme Cheesecake, please read my article called Perfect Pressure Cooker Cheesecake Tips & Guide, so that your first cheesecake will be a success. 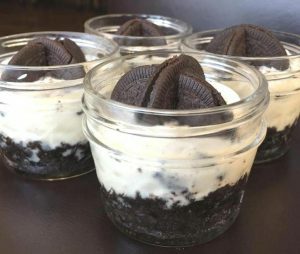 I chose Oreo Thins this time, but you can certainly use the regular Oreos or any other cookie with crème filling for this Pressure Cooker Cookies N Crème Cheesecake. My favorite is the Mint Oreos and the Lemon Oreos. 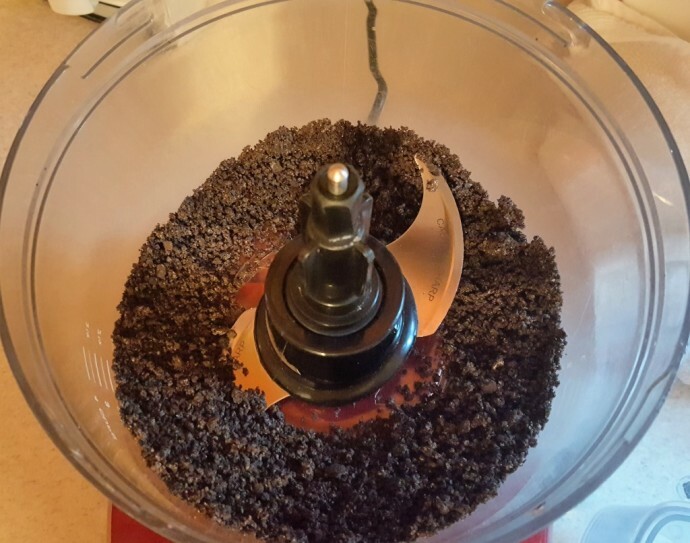 Either use a plastic bag or a food processor to turn your cookies into small crumbs. 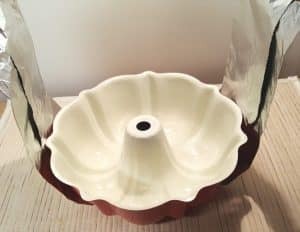 Use a parchment round or these really cool Parchment Rounds with handles, that I have just discovered and then grease your Cheesecake Pan on the bottom and the sides. Press the cookie crumb mixture into the pan using a Fox Run Tart Tamper or your fingers. Form a neat border around the edge and slightly up the sides. I made only a bottom crust for this Cheesecake, as I wanted less chocolate. I’m sure most of you are chocolate fans and prefer more crust. After you have prepared the crust, place the pan into the freezer for 15 minutes, while you are preparing the filling. 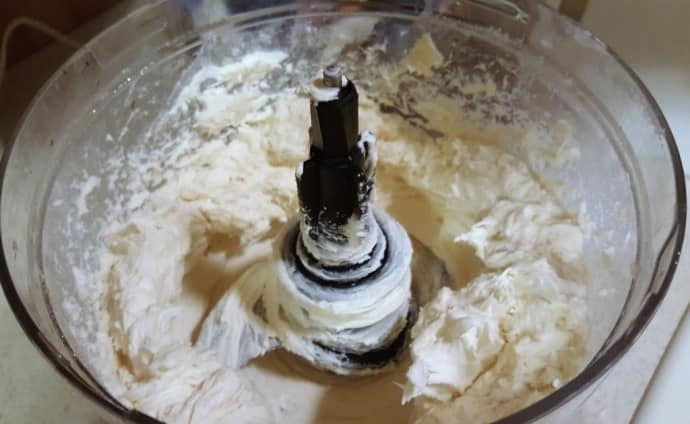 Food processors are great for mixing, rather than a hand mixer. 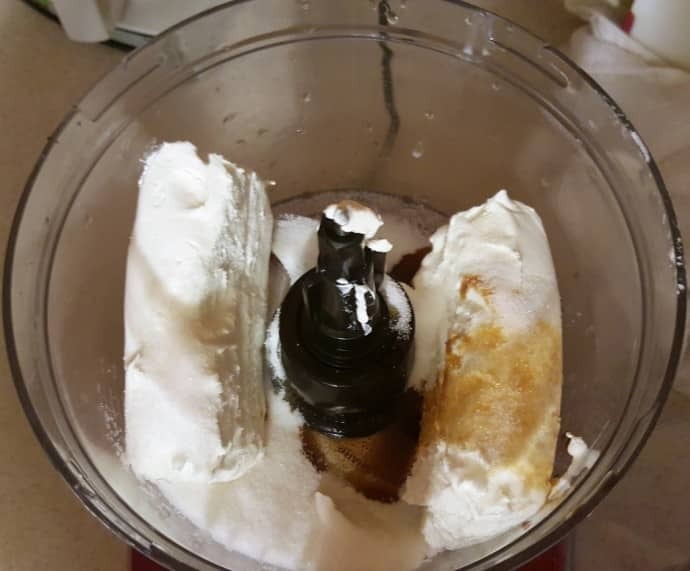 Cream cheese is mixed until smooth. Make sure to scrape down the sides and mix in some more. 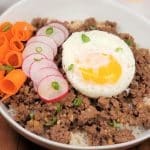 Be careful not to overmix the eggs and add them one at a time. 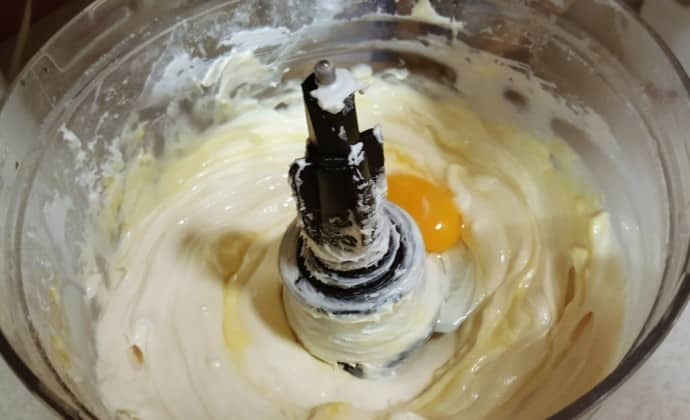 It is okay to see some yellow from the yolk in the mixture. Either hit the pulse button on your food processor for one second, or hand mix in the eggs. Pour in a little more than one-half of the batter. This allows for the cookies to sink a bit and still remain in the center of the cake. 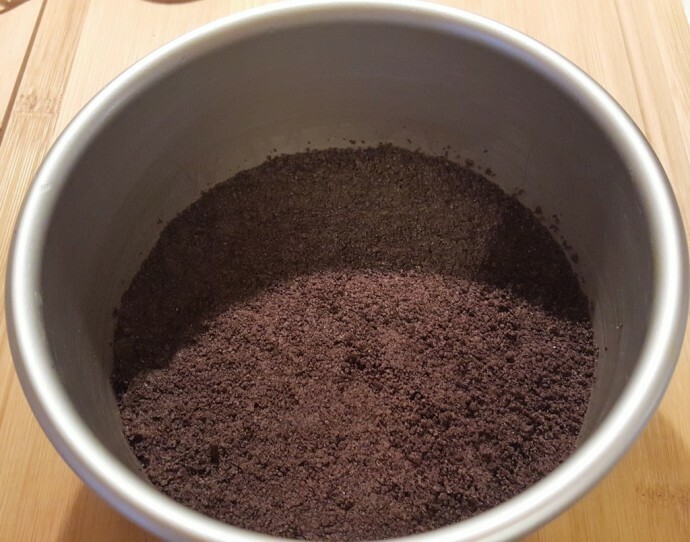 Place whole Oreos/Cookies and then fill in the spaces with broken crumbs. Alternatively, crumble all the cookies and spread them across the filling. 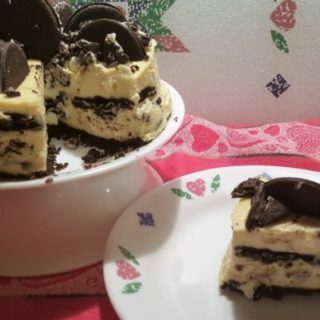 You can change up this Pressure Cooker Cookies N Creme Cheesecake by using different flavors of your favorite sandwich cookie. Cover with the rest of the filling. To prevent water from pooling, cover with a paper towel and then loosely with foil. Using a Homemade Sling, lower the cheesecake pan into the Pressure Cooker and place on top of the trivet. You can decide if you want a soft or a dense cheesecake by adjusting the cook time. I like a dense cheesecake. 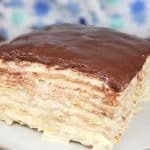 Add a sour cream topping on the warm cake and allow to cool for an hour before placing the cheesecake into the refrigerator. If you want to remove the side of the pan from the bottom before placing in the refrigerator, it is fine. 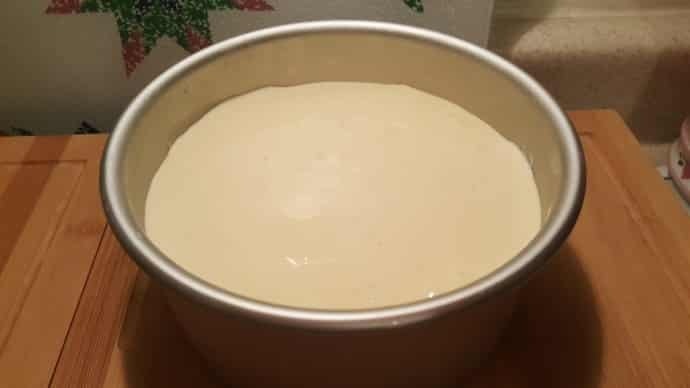 If you have used the Parchment Rounds with handles, you can remove the bottom too, otherwise, I suggest waiting until the cake is completely cooled, or overnight. Add Sandwich Cookies and sugar to the bowl of food processor and pulse until small crumbs form. Melt butter and add to cookie mixture. Pulse until just combined. 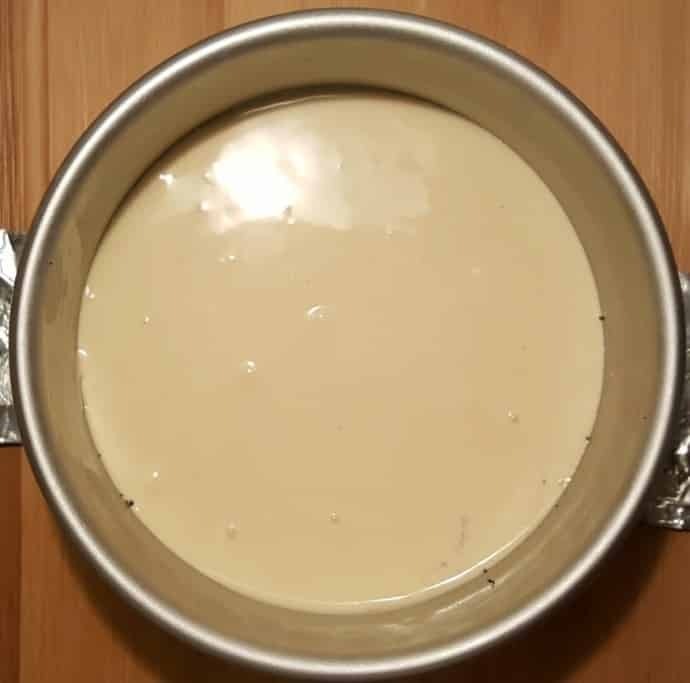 Pour crust mixture into bottom of greased 6-inch cheesecake pan and press the mixture firmly into the bottom of the pan. Place pan with crust in freezer for 15 minutes. 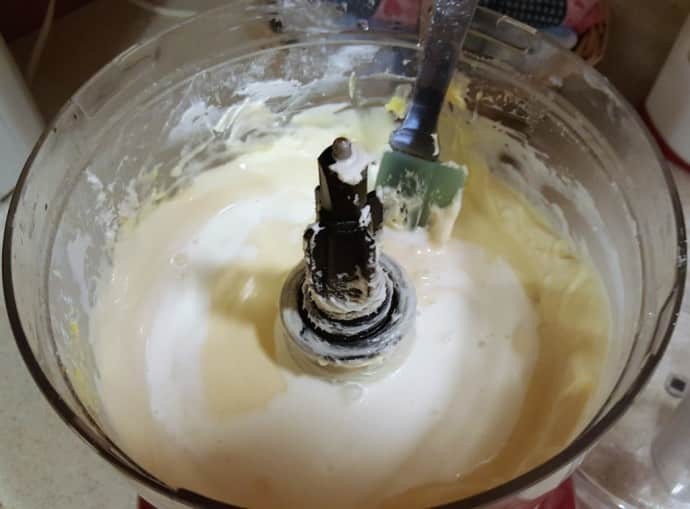 Blend together cream cheese, sugar, salt, heavy cream and vanilla extract until smooth. Add eggs and yolk, one at a time, until just combined. Do not over mix the eggs. Pour half the filling into the pan and top with cookies and then pour the rest of the filling into the pan. Add 1.5 cups of water to the bottom of your pressure cooker and place a trivet inside the pot. Cover the cheesecake first with a paper towel and then with a piece of aluminum foil and secure it around the sides. Place cheesecake into pressure cooker using a sling. Lock lid in place and close the Pressure Cooker Valve. Cook at High Pressure for 35 minutes. When Beep sounds, allow a 12 minute natural release. 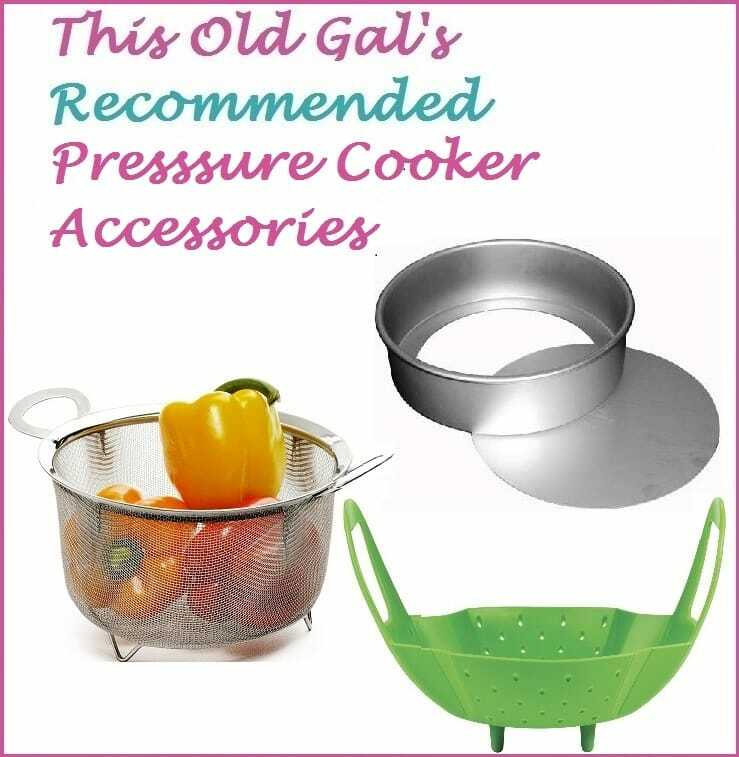 After all pressure has been released, open pressure cooker and gently remove the pan. Remove the foil and paper towel and dab off any liquid that may have accumulated. Whisk the sour cream and sugar and spread on hot cheesecake. Cool for one hour, cover and place in refrigerator overnight. Top with whole or crumbled cookies prior to serving. Any sandwich cookie and any flavor will work. 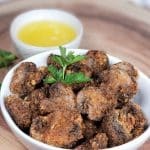 This is delicious with Mint Oreos too! 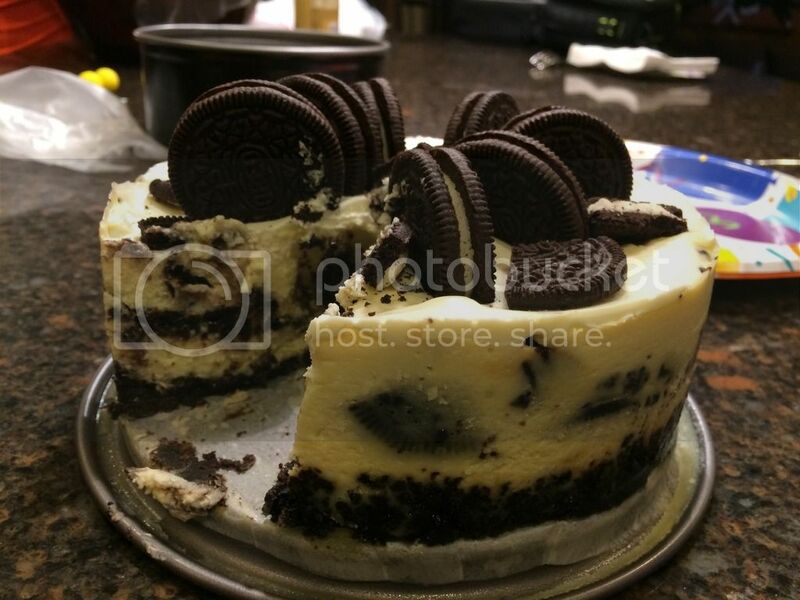 PIN this Pressure Cooker Cookies N Creme Cheesecake! When do I temple the cake from the pan? You could remove the cake from the pan about an hour after it comes out of the Pressure Cooker. Make sure to refrigerate it overnight for maximum taste. You can also leave the cheesecake in the pan overnight if you wanted. Either way is fine. 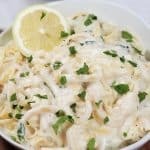 Can I use 1/4 cup sour cream instead of heavy cream for the filling? This looks great, if you used 4in mini springform pans how would you adjust the cooking time? Would it be the same as the glass jars? For the 4 inch minis, I would suggest a 12 minute cook time. I have pregnancy brain and added 1/4 cup of melted butter to the crust instead of 2 Tbsp, so it’s pretty wet and pasty. I added a few more Oreos to dry it out a little more… is it usable? Or do I need to start over? Congratulations on your pregnancy! 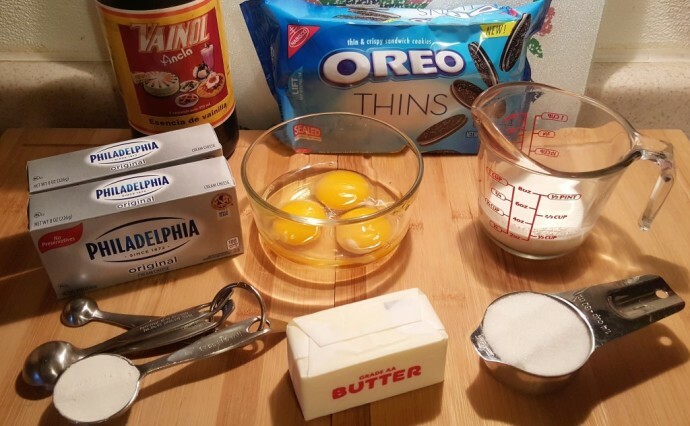 If you add some more oreos and then just use what you need, you should be fine. Will this work in a regular pressur cooked? When doing the oreos for the crust, do you remove the cream filling, and just use the cookies? Or throw whole cookies in there? You can throw the whole cookie in there. I figure the filling replaces the butter in the crust. So if you leave the filling in for the crust should you skip the butter? Could you do 1 and a half times the recipe for an 8″ springform pan in my 8 qt? Or do you have an 8″ recipe? Thanks! Kim, for an 8 inch pan, double the recipe. 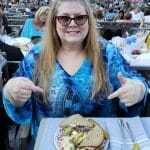 I followed the recioe for the 8 inch pan plain New York Style cheesecake and tbe filling barely fit. It almost seemed like too much. Would it make a big difference to use 3 instead of 4 blocks of cream cheese? How long would you cook it if you double the recipe and cook in an 8 inch pan? Thanks! I made this for one of my son’s birthday last weekend. He loved it and would LOVE the recipe but doesn’t have an IP. Have you used a recipe for baking in the oven that is even close to how amazing this one tastes? Thanks for your amazing recipes, by the way. (And yes, I’m hoping to get him an IP soon). ???? My Oreos didn’t stay in the middle! They floated to the top. Ever have that happen? Made this tonight. Same thing happened to me. Did it still taste & look okay? I don’t want to serve it to guests tomorrow if it was a flop. I have a 5 quart IP, any suggestions on what size cheesecake will fit? Why is there no flour in this one but there is in the NY? Could you make this with mini spring form pans. Would you need to adjust the time? I made this for my visiting niece & nephews this week. Their review is “WHOA! This is like a LEGIT Oreo cheesecake!” They ate 2 pieces each. I ate the rest, you know, to protect them from having too many sweets. 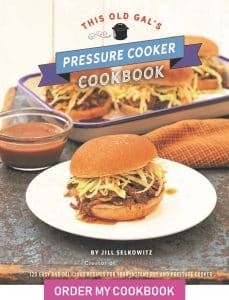 Thanks you for this recipe as well as your excellent “Perfect Pressure Cooker Cheesecake Tips & Guide”. 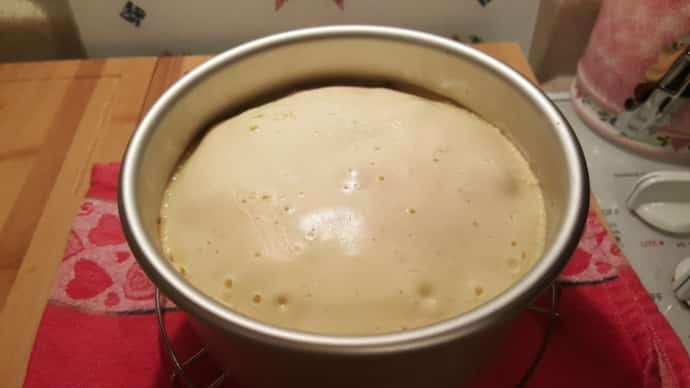 My very first cheesecake (Instant Pot or otherwise) came out fantastic! Instructions were perfect. Everyone loved it! 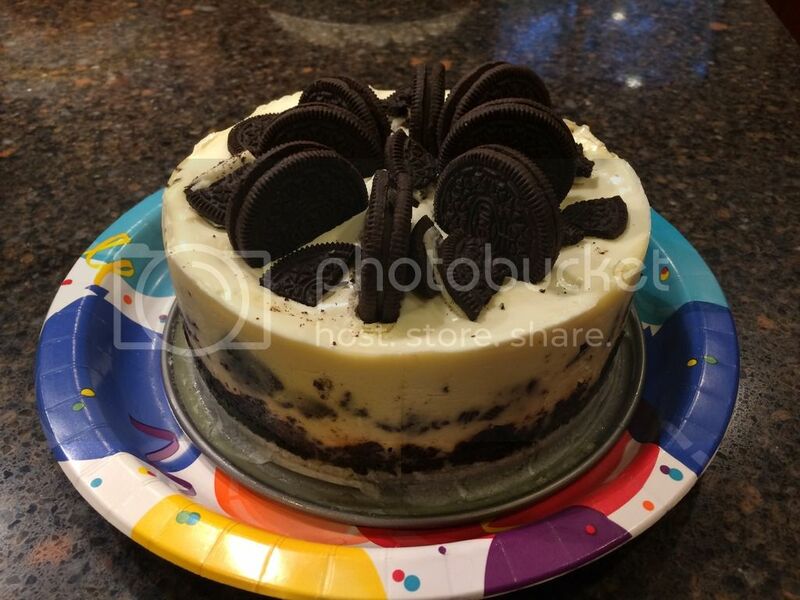 I just made the Cookies and Cream cheesecake. When I took the foil off it looked like it might not have completely cooked in the middle. Should I put it back in the IP for longer? I am trying it with lemon Oreos also I added lemon zest. It says to use 3/4 of a cup of cookies for the crust. How many cookies is that?